The injury attorneys at Dunbar & Fowler PLLC are committed to representing individuals and families who suffered injuries or the loss of a loved one caused by the carelessness or recklessness of another. In fact, the attorneys at Dunbar & Fowler PLLC have dedicated their legal careers to making sure every personal injury is given personal, knowledgeable attention. They believe that your case deserves nothing less than an aggressive and tenacious fight for your compensation by experienced Parkersburg personal injury lawyers. 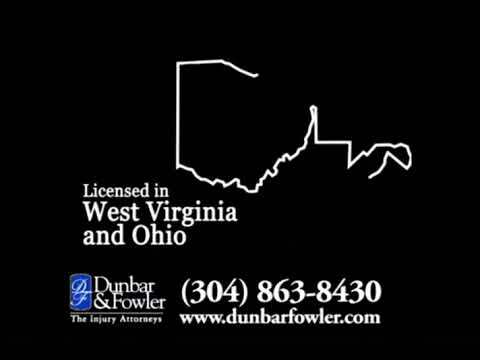 At the injury law firm Dunbar & Fowler PLLC, our attorneys handle cases in Parkersburg, West Virginia and the surrounding Ohio areas, and they have a history of success in gaining the fair compensation our clients deserve for injuries caused by car and truck accidents or by medical malpractice. Richard D. Dunbar is a dedicated personal injury attorney in Parkersburg representing clients in his native town and across West Virginia and Ohio state. 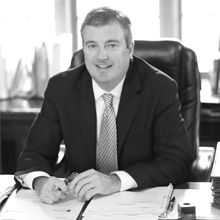 Mr. Dunbar is a former Wood County Bar Association President and has current memberships with the West Virginia Trial Lawyer’s Associations and the West Virginia State Bar. Other affiliations include management roles with youth activities, including the Parkersburg South Wrestling Boosters and the Wood County Junior Wrestling League, of which he was President. Also, Mr. Dunbar serves as a deacon in the Lubeck Church of Christ. 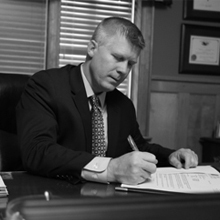 Dan Fowler is an experienced trial court attorney who has spent his law career representing clients involved with trial court proceedings. If you or a loved one has been involved in a trucking or car accident, he feels it is vital to consult with an injury lawyer who provides full attention to your needs. Mr. Fowler has served three years on the West Virginia State Bar Board of Governors and was appointed and served for three years on the West Virginia Lawyer Disciplinary Board, as a Hearing Panel member. Additionally, he has served as a board member of the Parkersburg-based group Adventure Pursuit, Inc., whose mission is to assist physically and mentally challenged individuals in the pursuit of adventure sports and activities. When you need the help of an attorney due to a serious personal injury, contact Dunbar & Fowler PLLC at 304-863-8430 or click here to submit your case for a free review.